At Lorenzo’s Pizzeria, the mouthwatering smell of traditional Italian-cuisine dishes and the red-and-white-checkered tablecloths make the guests feel as if they were in an Italian village. Apart from a wide variety of Italian-style pizza, this pizzeria also serves antipasti, salads, and pasta. 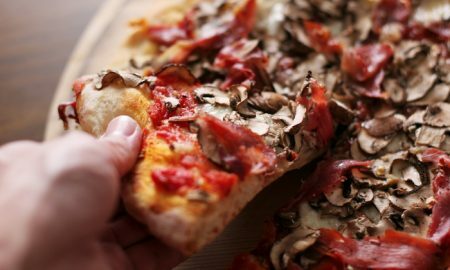 With such classics on the menu as margherita, quattro formaggi, or pepperoni, as well as specialty pizzas, including Lorenzo’s Special or Sergio Leone, each client will find something that suits their taste.